Mantashe refutes allegations that ANC is fuelling violent protests - SABC News - Breaking news, special reports, world, business, sport coverage of all South African current events. Africa's news leader. Mantashe was speaking during the ANC campaign trail at Ganyesa village near Vryburg in the North West. 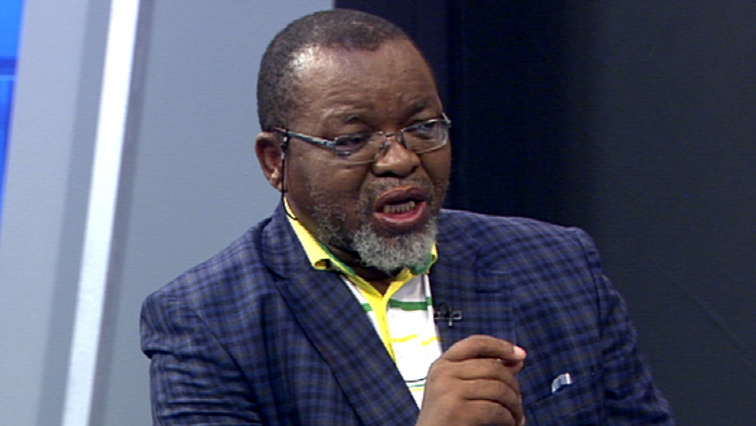 African National Congress (ANC) National Chairperson, Gwede Mantashe, has refuted allegations that his party is fuelling violent protests in areas where they are not governing. Several provinces were hit by violent service delivery protests this week. In Alexandra, north of Johannesburg, residents took to the streets to protest against the mushrooming of illegal shacks, while on the West Rand, residents of Bekkersdal shut down the area over a lack of electricity at informal settlements. Some of the residents of Ganyesa had this to say regarding Mantashe’s visit. “For any leader or any political party that will visit my area does not mean I am going to change my vote. I am going to vote based on the challenges that I am facing,” says a resident. “He made it right to come and see for himself may be the strike will end and children will go to school,” adds a resident. “Maybe the visit of Gwede will bring changes,” says another resident.